The death march for FM radio has started and Norway is leading the charge, beginning to switch off FM radio this month (January 2017). Switzerland, Britain, Denmark among others to follow. I am now officially old. I have a real, indisputable benchmark. FM radio in the NYC burbs in the 60/70s is where all the cool kids hung out. Dennis Elsas. Alison Steele. Jonathan Schwartz. Dave Herman. Vince Scelsa and man he was the trippy-est, he got the weird shifts at the times you were really ready to listen, and as soon as you heard the tape loop ending with “I have a feeling we’re not in Kansas anymore” it was Game On for the heads. 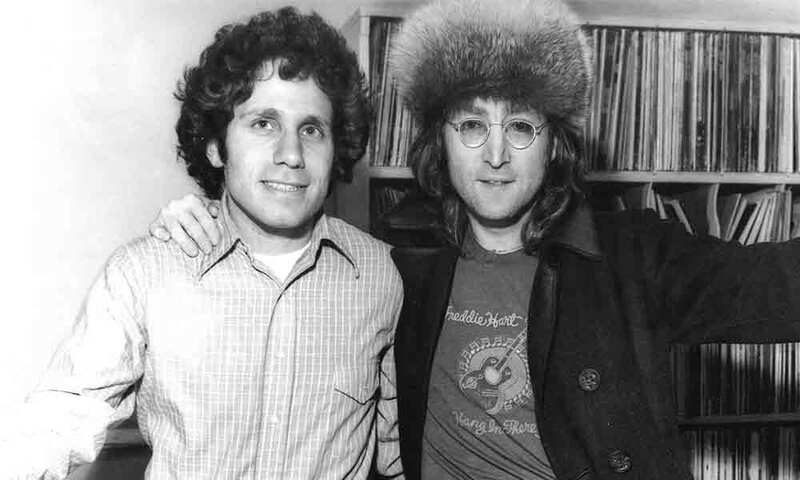 John Lennon drops in on Dennis Elsas at WNEW-FM in NYC. Sadly I also remember sitting my in the penthouse of the University of Alaska’s Geophysical Institute working on my thesis instrument, a Fabry Perot interferometer and hearing what went down on 8 Dec 1980. And then was another time I got much older. And I didn’t hear that on FM because back then Fairbanks was mostly off the grid and we liked it like that.